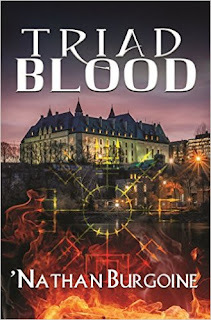 "The first book in the Vampire Empire trilogy has some of the scariest vampires I've seen around in a while." I will look into the Griffin series. Are there only two in the series to date? Does book 2 hold up to the first? 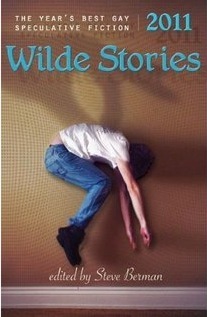 2011 Wilde Stories is on my list (thanks to your review) as is the Hale Rifter Series. Believe it or not I've had Cardamone's Pumpkin Teeth for a while but haven't read it yet! I've also been checking out Icarus I think I may subscribe in the New Year. Thanks so much for the review mention of the MacLeod and Valentine StarCrossed Series it's one of my favourites and the author's are working on book 5 Panacea. I'm also a fan of their Messiah series, which is controvertial with some readers. I've been slowly making my way through Rick R. Reed's backlist and two of my favourite's are Bashed: A Love Story and Riding the El at Midnight. Although some characterize both stories as gay romance, in true Reed fashion both lean heavily in the horror/suspense/thriller category. I'm a fan of Stephen King, but of his early books (Carrie, Salem's Lot, The Shinning and Dead Zone), I haven't read him in a while though. Also, my favourite in the dytopian universe sub-genre is Atwood's A Handmaid's Tale. 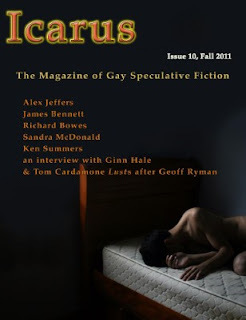 In terms of LGBT fantasy/UF, I loved Bryl R. Tyne's recent short story series The Zagzagel Diaries. Thanks again for the post, plenty of good recommendations. 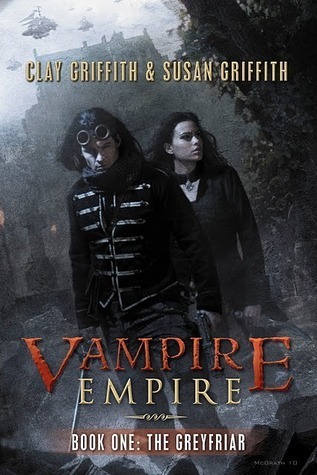 To answer your question, Vampire Empire is a trilogy and the second book was just released. I'm in the middle of it and so far so good. :) I will let you know if it holds up by the end. 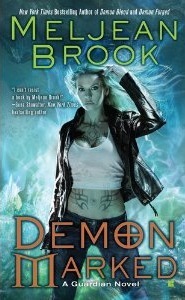 Thanks for the heads up on the 5th book for the "Star Crossed" series. That's great news! I've loved your reviews of that series ever since you posted them on your LJ and then on The Phade. I can't wait to see what you have to say about "Panacea." I STILL have "Sins of the Messiah" in my TBR and hope to read it! LOL, I should write up a post on books I want to read... because I also have Rick R. Reed's "Bashed," and "The Zagzagel Diaries." But at this point I think those books will be read either toward the end of the year, or next year. Thanks for recommending "The El at Midnight by Rick R. Reed." I had not heard of that one. RE: Stephen King, I've read some of his works, "The Stand" and "The Shining" are still favorites. PS: I just finished reading "The German" by Lee Thomas (LGBT), and in my opinion it qualifies. This is an AWESOME book! It's a thriller set during WWII with plenty of scary moments and a touch of the supernatural... but hmm... there's so much more to it too. Excellent read! Hils wrote: Thanks for recommending "The El at Midnight by Rick R. Reed." I had not heard of that one. I have been eyeing The German. I love thrillers! So I guess this one goes on the list as well. Oh boy, my 2012 reading card is sure filling up fast! And if suspense/thrillers qualify then I'll add The Equinox Convergence by Erik Orrantia which I recently read and which is excellent. Thank you again for all your wonderful words and support of my little press. Indie, I checked out the Reed collection and it definitely looks great. You know I've only read one book by him. Excellent recommendation. Thanks for the link! 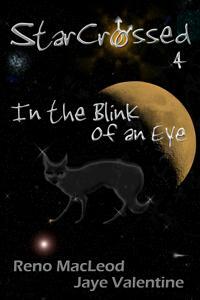 I already have The Equinox Convergence by Orratia in my TBB list, thanks to your review. :) RE: Icarus, it's available in PDF format and you can get the single issues. I loved the Spring issue, and will be getting Fall. 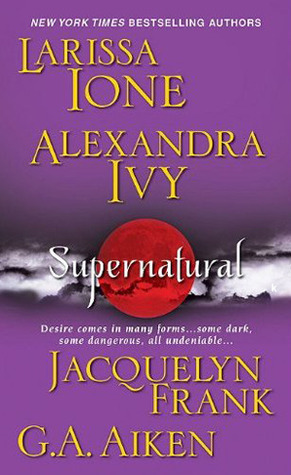 Fun post, Hils :) It's true that with the abundance of urban fantasy and paranormal novels, it can feel like Halloween the whole year LOL.